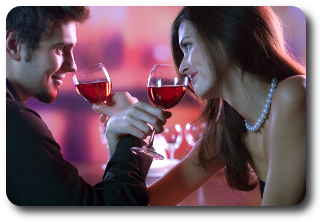 When two Taurus people fall in love, it’s sure to be a sensuous and deeply romantic relationship. Both are kind, loyal and relatively emotionally stable, and both are keen to settle down. For the Taurus man and Taurus woman, compatibility is obvious – they share the same values in life, the same ways of doing things and the same infuriating stubbornness. Ah – that’s where the potential problem lies. Although the Taurus man and Taurus woman are highly compatible, they’re also capable of being entrenched enemies. Compromise is not a word in either of these partner’s dictionaries, and both will insist on getting their own way, refusing to bend to the will of the other. Since they are so similar in many ways, this battle of wills won’t occur in many areas of life, but where it does, their differences could easily become insurmountable. The Taurus man and Taurus woman are both extremely possessive by nature, so flirting or infidelity in this relationship is out of the question. The need to keep tight tabs on one another can result in one or both partners feeling stifled or suffocated – because after all, while they’re happy to dish out the controlling, possessive vibe, neither likes to be on the receiving end of it. Taurus man and Taurus woman compatibility is not always as clear cut as you might think. Once Taurus man and Taurus woman have made a commitment to each other, however, they will both do their utmost to make the relationship work. By nature they are both sweet and gentle people who dislike drama and rebellion, so most of their rows are low key – but the resentment from the arguments can be long lived, and neither partner likes to be the first to apologize. Their huge loyalty to one another, however, ensures that Taurus man Taurus woman compatibility is long lived and enduring. In this relationship, the two Bulls can carve out a healthy path forwards by recognizing their own gifts and faults. What the Taurus man sees as firmness and determination on his part, he will see as wilfulness on his Taurus woman’s part. What she sees as inner strength and a refusal to be pushed around on her part, she fill find to be irritating immovability on his part. And so it goes on. 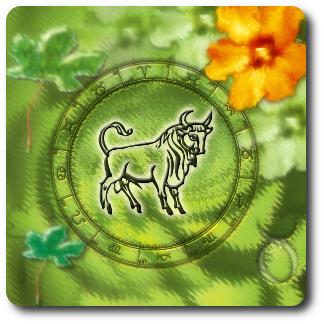 For Taurus man Taurus woman compatibility to be at its best, both partners must work together to maximize their strengths and to understand how they mutually reflect one another. Despite their ups and downs, the Taurus man and Taurus woman relationship is one which tends to stand the test of time. Where other, more flamboyant couples burn out after a few years, these two will still be sat in the park, holding hands and gently chiding one another, well into their later years.